Even the most famous weirdos have to eat, and Tim Heidecker and Eric Wareheim have never tried to hide their work making ads for companies like Old Spice and Absolut Vodka (not that they’d be able to deny any of the bizarre spots were theirs in the first place). Heidecker and Wareheim’s newest corporate client is multinational superconglomerate GE, which threw a little cash at the surrealist comedy duo to sell lightbulbs to the hyper-self-aware pre-post-ironic market. (Can’t light everything with your iPhone, millennials.) 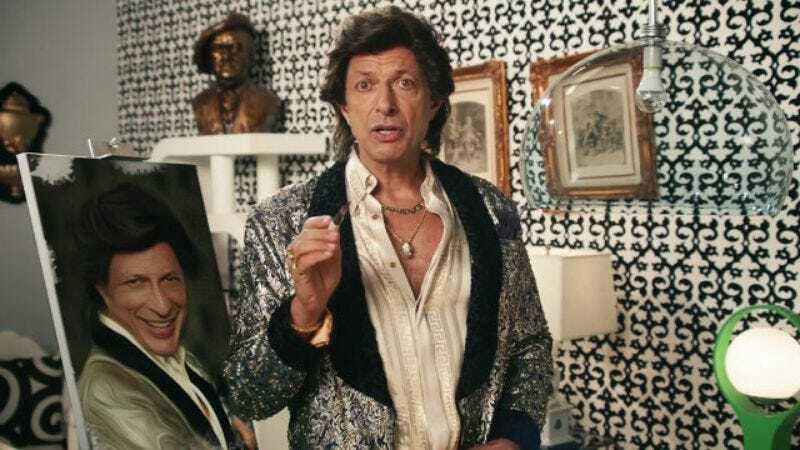 Heidecker and Wareheim got Jeff Goldblum—consistently one of the Internet’s top five favorite actors who wasn’t on Star Trek—to star in the ad, which looks twice as expensive as an average Tim & Eric Awesome Show, Great Job! bit, but with 100 percent less vomit.